A sequel to Ridley Scott’s 1982 sci-fi cyberpunk masterpiece Blade Runner was on its way, and now it has a name: Blade Runner 2049. 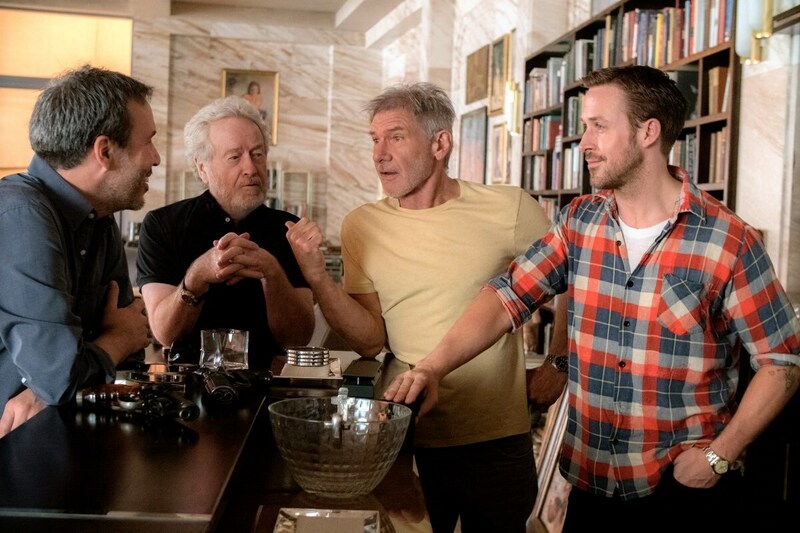 Warner Bros made the announcement on Thursday night, along with a photo of director Denis Villeneuve, producer Ridley Scott, returning actor Harrison Ford, and new cast member Ryan Gosling on the film’s sets. It’s the one above, yes. The original was set in 2019 Los Angeles, which now that we enjoy the fruits of hindsight, isn’t probably going to be the case with the real world version of the city. Although Blade Runner is regarded as one of the greatest sci-fi films of all time now, that wasn’t always the case. It barely managed to cover its $28 million (roughly Rs. 26.8 crores) budget back in 1982, earning $32.8 million (roughly Rs. 31.4 crores) in total US domestic earnings. The Villeneuve sequel, with Roger Deakins as cinematographer, comes from a script penned by Hampton Fancher (who also wrote the original) and Michael Green (co-creator on American Gods), and is based on a story by Ridley Scott and Fancher himself. Icelandic composer Jóhann Jóhannsson, who has worked with Villeneuve on Sicario and Arrival, will provide score. Apart from Ford and Gosling, it will also star the likes of Robin Wright (House of Cards), Jared Leto (Requiem for a Dream, Suicide Squad), Mackenzie Davis (The Martian, Halt and Catch Fire), Dave Bautista (Guardians of the Galaxy), Barkhad Abdi (Captain Phillips), and Ana de Armas (Hands of Stone) among others. Blade Runner 2049 will arrive in theatres worldwide on October 6, 2017 in 2D, 3D and IMAX 3D formats.